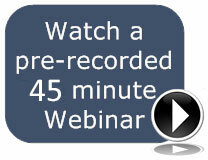 Please find below pre-recorded webinars for your convenience. Revenue Driver and much more…! Take advantage of this rare opportunity to easily learn more about how to do better estimating with this convenient webinar. Our Client & Corporate Services Manager, Bevis has extensive experience working with companies to produce accurate estimates and in this webinar, he will share best practice to assist companies succeed, be more profitable and more transparent. Topics include: First Principles Estimating, Relevance of good estimating, The power of good estimating, Comparison of various methods of estimating. Watch Now. Please click here to access the slide set of the presentation. This introductory webinar provides you with an overview of some of the main new features & benefits of Version 7.7 – all features that will make your estimating even easier. During this webinar you will be introduced to our brand-new Multi-currency feature (Add-on module), the Resource Analysis graphs and our new ‘Drag and Drop’ function, just to mention a few new features. Watch Now. This introductory webinar provides you with an overview of some of the main new features & benefits of Version 7.6. You will see how the new Inactive Items/Resources feature will help you to prepare more competitive bids, and how the Read-Only feature gives you a higher ROI and improved collaboration. You will also witness how Resource Custom Fields can streamline your more complex estimating calculations and give you greater flexibility. Watch Now. A 30 minute overview of some of the primary features and benefits of Benchmark Estimating Software. Learn about the benefits of Benchmark’s Libraries, and find out how the powerful features like Routines, Allocate, Quote Templates & Reporting will streamline your business and increase your profits. Watch Now.